Please see below the client terms and conditions, including refund policy, for Abu Ghazalah Translation (AGT). If you need to contact us, please email us on [email protected] and include your name and job reference number. These terms and conditions apply to each request for a quote from AGT for provision of translation services following acceptance by the client of a quote from AGT. 1.13. “Working Day” means any day other than a Friday, Saturday or public holiday in UAE. 2.1. Each request for translation services made to AGT and supply of Source Materials to AGT is made subject to these terms and conditions. 2.2. No contract exists in respect of any request for translation services or in respect of any Source Materials that may be submitted to AGT, unless and until there is an Accepted Quote. Once there is an Accepted Quote, a ‘Contract’ is formed between the Client and AGT in respect of the Services described in that quote. 2.3. Subject to clause 2.4, AGT will issue a Quote after receiving from a client a request for translation services made in accordance with the procedures used on the Website. 2.4. AGT reserves the right to decline to issue a Quote or to provide any translation services if the Source Materials contain any material which AGT at its discretion (and without any obligation on AGT to review the Source Materials for appropriateness, legality or otherwise) considers to be offensive, obscene, contrary to any law or otherwise considered by AGT to be inappropriate. 3.1. Subject to receipt of all applicable amounts due from the Client, AGT will provide the Services as specified in the Accepted Quote and in accordance AGT’s standard practices and procedures including the practices and procedures as described on the Website at the time the Quote was issued to the Client. 3.2. The Client must provide all information requested by AGT (via the Website) in respect of the Services and ensure that all such information is accurate and complete. 3.3. AGT provides services at different specified quality levels. It is the Client’s responsibility to select the preferred level of service to suit its requirements. AGT will deliver to the selected level of service as specified in the Accepted Quote and has no obligation to check whether that quality level is appropriate for the Client’s needs. 3.4. AGT has no responsibility to complete the translation for the price quoted if the word count and or nature of the translation varies from what was able to be gained from the Source Materials when first quoted. AGT will provide the Client with a corrected quote with the difference owing for completion of the job and amended delivery date if necessary. The Client may opt to instead receive a full refund if the correct quote is not acceptable. 3.5. Should a Client purchase the translation services on a Sunday then it may result in a minor delay in the timeframe to complete. AGT will use its best endeavours to ensure this does not happen but will notify the Client as soon as practicably possible on a Monday identifying of any delay. 3.6. AGT has no responsibility to review the quality of the Source Materials for typographical or any other errors and has no liability to review the Source Material for or to correct any errors or omissions contained in any Source Materials regardless of the nature of such errors or omissions and regardless of the impact that such errors or omissions may have on the quality of the Deliverables. 3.7. On completion of the Services and subject to receipt by AGT of all amounts due from the Client, AGT will issue the Deliverables to the Client. 3.8. AGT will issue the Deliverables to the Client in accordance with AGT’s standard practices and procedures applicable at the time or as otherwise specified in the Quote. AGT will use reasonable endeavours to issue the Deliverables on or before the agreed delivery date / time, or where no specific delivery date/ time is agreed within a reasonable time following receipt of the Accepted Quote, but AGT accepts no liability for any delay in meeting the applicable timing. 40% of the total amount payable is due prior to release of the Deliverables to the Client. 40% of the total amount payable for the relevant Deliverables, prior to release of the Deliverables to the Client. All invoices issued to Clients that have a Credit Account are due for payment within [14 days] of the date of the invoice provided that, where clause 4.3(b) applies, AGT will not release the Deliverables to the Client until the Client has paid the first two invoices in respect of those Deliverables (that is, the Client must have paid, in aggregate, 60% of the total amount payable for the Deliverables before the Deliverables will be released to the Client). 4.5. Any applicable value added tax, and any other applicable taxes and duties are added to the amount charged. AGT may suspend provision of Services or may cease to provide the Services or Deliverables and may at its discretion terminate the Contract in accordance with clause 10.2. 4.7. Where the Client is required to pay a deposit (an amount payable prior to commencement of the Services) and the Client pays by credit card, the Client’s credit card will be stored in AGT’s third party online secure payment processing provider Direct Payment Solutions (www.paymentexpress.com). For more details on this secure storage see https://www.paymentexpress.com/privacypolicy.htm. Your card will be charged for the remaining figure (quote minus deposit already paid) on completion of the job and prior to the files being released. 4.8 Should AGT find any difference in word count from that the client advised of, or any real requirement to involve an expert to do a specialized translation, AGT may charge back the Client for the difference before delivering the translation. a. The request for a refund is received by AGT, in writing via email sent to [email protected]; phone calls will not be sufficient. The request for a refund must include: Job #, date of commissioning, name of company under which the service was commissioned, name of person the invoice was billed to, the e-mail address used at the time of the commissioning of the required service and the manner in which the service was paid for (e.g. Credit Card, Cash, Remittance). b. 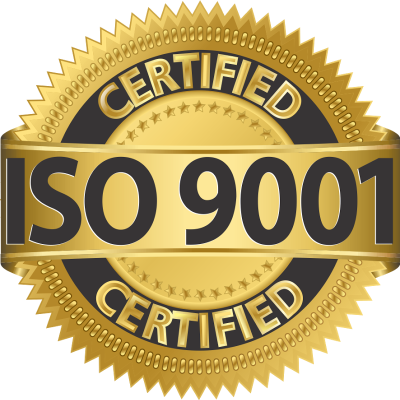 The Client completed the required checklist providing the appropriate background, overview, audience, language tone, reserved words and glossary terms as requested prior to dispatch of the any of the Source Materials by AGT to an AGT translator. c. Where applicable the Client has clearly explained why any rectifications proposed by AGT would not be effective. d. An undertaking that is endorsed by the Client and submitted to AGT that clearly states that the Client will not use the relevant Deliverables / translations delivered by AGT in part or in whole for personal, business, commercial or any other purposes. 5.3. AGT will endeavor to investigate and where applicable to process refunds within 5 Working Days of receipt of a refund request, but refund requests may take up to 2 weeks to investigate and process. A reply will be sent to the Client after AGT has determined whether a refund is necessary. If AGT determines that the refund request meets the requirements of this clause 5, AGT will notify the Client in writing and advise the payment method that will be used to refund the monies paid. 6.1. Nothing in this Contract transfers to AGT, ownership of any Intellectual Property in the Source Materials or the Deliverables. 6.2. All Intellectual Property in the processes, methodology and know-how used by AGT in its performance of a Contract are and will remain the property of AGT. Nothing in any Contract transfers to the Client any of AGT’s Intellectual Property. 8.2. The Client indemnifies AGT against any losses, costs (including legal costs on a solicitor and own client basis), expenses, demands or liability whether direct, indirect, consequential or otherwise, and whether arising in contract, tort (including negligence), equity or otherwise, arising out of a claim by a third party where the claim arises from any breach of the representations and warranties made by the Client in this clause 8. 9.1. AGT warrants that it has authority to enter into and perform and the ability to perform its obligations under this Agreement. 9.2. Except as expressly provided in these terms and conditions, all warranties, terms and conditions (including, without limitation, warranties and conditions as to fitness for purpose and merchantability), whether express or implied by statute, common law or otherwise, are excluded by AGT to the extent permitted by law. 10.1. The Client may, without cause, terminate a Contract (or, subject to this clause 10.1, part of a Contract) at any time up until 30 minutes after first payment in respect of that Contract has been received by AGT, by giving written notification to AGT within that 30 minute-time period. The Client may only terminate part of a Contract where separate pricing is specified in the Accepted Quote for the Services no longer required. Where a Contract is partially terminated under this clause, the Client must, at the time of giving notice of termination, specify the Services that are no longer required. 10.2. Without limiting any other rights or remedies that AGT may have, AGT may terminate the Contract on written notice to the Client if the Client fails to pay any overdue amount within five days following written notice from AGT requiring payment. the provisions of the Contract that are by their nature intended to survive termination will remain in full force. 11.1. Subject to clause 11.2, AGT will be liable for direct loss only (excluding loss of business or profits and excluding all consequential loss) up to a maximum of NZ$100. 11.2. For ‘Professional Plus’ Services, AGT will be liable for direct loss only (excluding loss of business or profits and excluding all consequential loss) up to a maximum of the amount paid by the Client to AGT for the Services. 12.4. The mediation must be conducted in terms of the LEADR New Zealand Inc Standard Mediation Agreement. 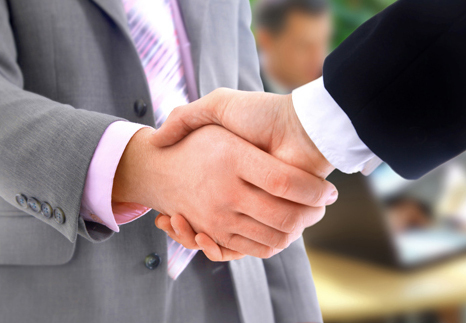 The mediation must be conducted by a mediator at a fee agreed by the parties. Failing agreement between the parties, the mediator will be selected and his/her fee determined by the Chair for the time being of LEADR New Zealand Inc.
13.1. If the Client acquires, or holds itself out as acquiring, goods or services from AGT under a Contract for the purposes of a business, and the Consumer Guarantees Act 1993 would apply were it not for this clause 13.1, the Consumer Guarantees Act 1993 will not apply. 14.2. Amendments: Except as specifically provided, no amendment to a Contract will be effective unless it is in writing and signed by both parties. 14.5. Independent contractor: AGT is an independent contractor to the Client and is in all respects independent of the Client. Nothing in any Contract constitutes either party a partner, agent, employee or joint venturer of the other. 14.6. Suspension: AGT may suspend performance of its obligations under a Contract for so long as it is unable to perform for reasons outside of its control. 14.7. Assignment: The Client must not assign its rights under any Contract without the prior written consent of AGT. 16.1. Each Contract is governed by and construed in accordance with New Zealand law and the parties submit to the non-exclusive jurisdiction of the New Zealand courts. Our knowledge and 30 years of experience give us the ability to give a fast and accurate visa and immigration consultation, based on your information and visas' requirements. We check your eligibility to all types of visas to a given country, the visas' types that fulfill your purpose of travel. We prepare and translate all the required documents, submit the required visa forms, pay the embassies' fees on your behalf, reserve appointment date with embassies, provide all common visa requesties like travel insurance, airplane tickets, hotels booking, and others. Abu Ghazaleh translation office offers visa and immigration consultations offered by certified lawers and high-quality translation by native language translators. Abu Ghazaleh applies the highest industry standards and certified by NAATI, TOLES, MSP, MST, and embassies worldwide. Agato Legal translation visa & immigration office offers high-quality translation offered by highly-trained and qualified native language translators. A well-recognized and highly trusted translation office in Amman Jordan for decades. 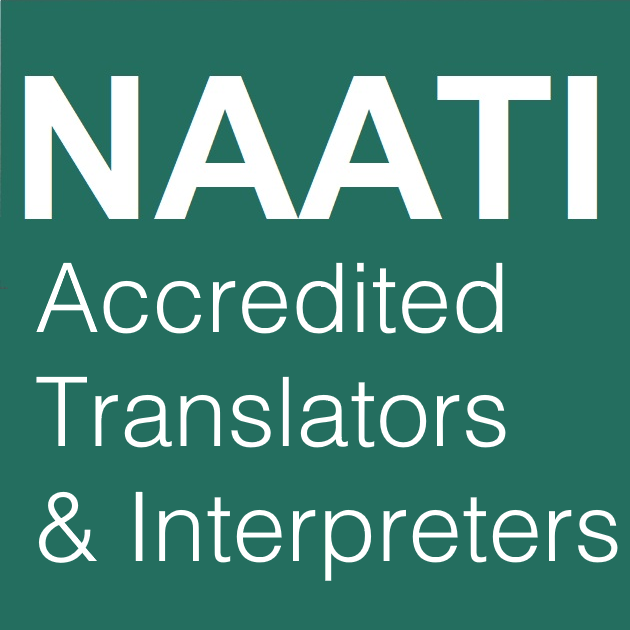 Certified translation office in Amman Jordan by NAATI, TOLES, MSP, MST, embassies and directories in Amman Jordan and Dubai UAE. DV-1 Visas "Green Card Lottery"
© Copyright 2017. All Rights Reserved Abu Ghazaleh Translation & Comml. Servs. Office.